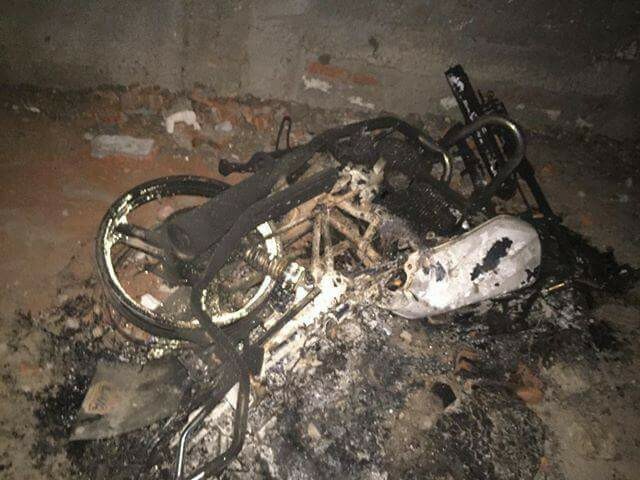 Copts in a village near the Egyptian city of Alexandria have been persuaded to waive the charges against an extremist mob who pelted their church with Molotov cocktails, in order to retain the use of the building for worship, World Watch Monitor has learnt. 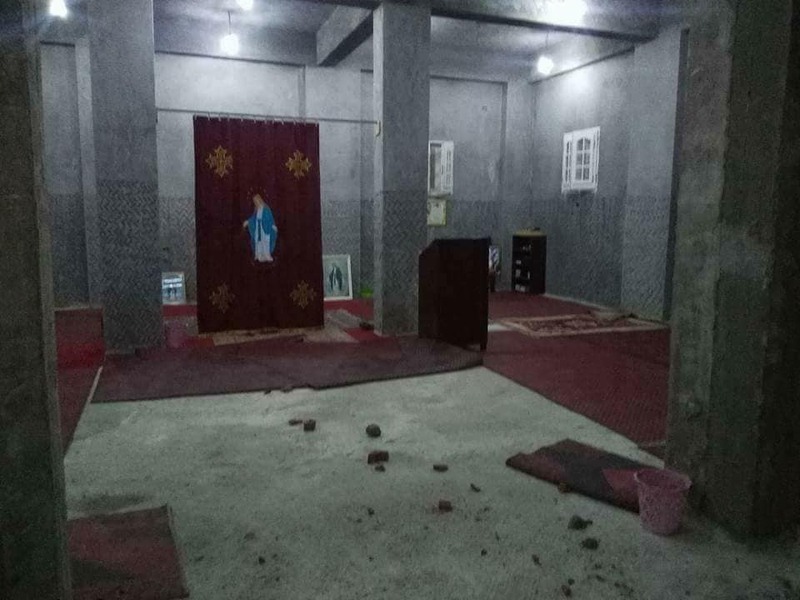 Seven Copts were injured when a mob attacked their church and other Christian-owned properties on Saturday, 26 May, in the village of of Abou El-Shuqaf, in Beheira Governorate. In addition, Fr. Aghabius Mounir, priest of Abou El-Shuqaf’s Mar Morcos church, secured the release of nine Copts who had been arrested only after he agreed to drop his case against members of the mob who vandalised and overturned his car. At the same time, the police also released the 11 Muslims they had arrested for taking part in the violence. 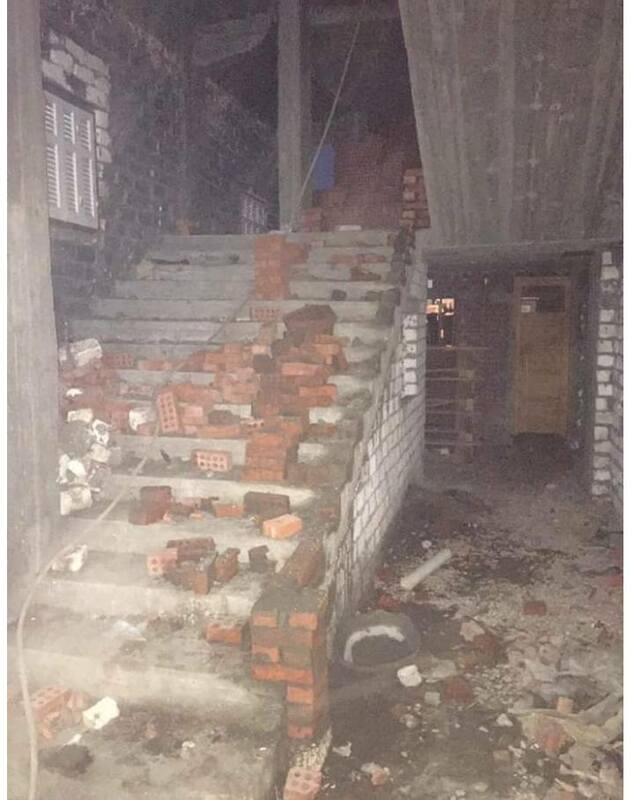 Wahid Fahim, a Christian who lives in Abou El-Shuqaf village, told World Watch Monitor that after a large group of local Muslims had finished their afternoon prayers in front of a half-built mosque next to the church, a message came through the mosque’s loudspeakers inciting worshippers to attack the church. According to eye-witnesses, security forces arrived at the village about two hours after the attack and arrested 11 extremists. Fahim alleged that some of the Muslim villagers inflicted injuries on themselves in order to falsely accuse Copts of wounding them. The police arrested nine Copts, including four who were injured. Fahim said the police made the arrests of the Copts “randomly”. Wagih Moussa, another Coptic resident, told World Watch Monitor that the police arrested nine Copts knowing they were innocent, in order to pressure them “to reconcile with the Muslim attackers and waive the reports which were made against them”, in exchange for their release. Speaking hours after the attack, Moussa added that Copts had received new threats since it occurred. “Despite everything that happened to us, we have still received threats from some Muslims in our village,” he said. “They have threatened us, telling us, ‘We will purify the village of you, oh kafir [infidel]’,” he said. It seems the church may have been attacked because Fr. Mounir had applied for its status to be legalised under the terms of a 2016 law aimed at facilitating the construction, renovating and licensing of churches. Rumours circulated in the village last week that the government’s Building Authority Committee was planning to inspect the building in preparation for legalising its status as a church this week. An attack on a church took place under similar circumstances last month in Beni Suef, suggesting that the law that was intended to help Copts may be resulting in a new backlash against them. After the attack in Beni Suef, villagers have lost the use of their church until it is legalised. Local officials, MPs and security leaders visited Abou El-Shuqaf on Saturday evening, and met with Muslim and Christian villagers. During the meeting it was agreed that the Christian villagers should continue to hold services at the church, and in return the Copts would waive the charges against the Muslims. It was also agreed that the nine Copts and 11 Muslims would all be released from Housh Essa police station if Fr. Mounir dropped his case against the men who had vandalised his car. Tensions have been brewing over the status of the village church for a number of years. It is situated on the second floor of a three-storey building that was begun by local Christians in 2015 and has not yet been completed. In January 2017, when a group of Muslim villagers found out that local Copts had applied for the legalisation of their church premises, they began building a mosque next to the church, which Copts said was aimed at jeopardising the church’s chances of being legalised. Under the terms of the Ottoman-era Hamayoni Decree, a church may not be built next to a mosque. The decree remains in place, despite the 2016 law on building churches.